The following information is unsolicited feedback from our former De Shore Athletes and is provided for your viewing! Other than your family members, who was the most influential person in your life? My club coach Ike Eisenhour. I was hurt my junior and senior year in high school and during that time he really helped me stay positive and always pushed for me and still does today. If it wasn’t for him, I probably wouldn’t be playing at Mary Washington, let alone college field hockey. that Emma & Olivia can be a part of such a fine athletic program. 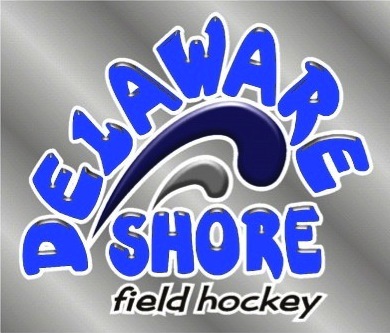 and comfortable with DE Shore Field Hockey! I have to share something with you. I don’t know the goalie very well from Smyrna… I know her name is Elana. gave her a hug 5. I love her positive nature and that she helps Marlee without being told too… I love this kid! 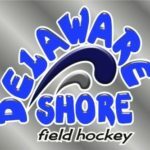 I am not sure what is entirely going on and actually like “being out of the loop”, but I wanted to let you know I appreciate all you do for Delaware Shore. Erin has grown so much as a hockey player both in skill level and character. With whatever decisions you make, I know that you have the best interests of all the players at heart. With such a large group and various ability levels, organizing teams to please everyone is an insurmountable task. With that being said, the success of the program is evident in the ability level of the players at the high school level. I know, first hand, that coaching can be a thankless job at times. Just wanted to let you know that I appreciate all that you do. Thank you for everything you’ve done for me these past couple of years. I have nothing but good memories!! I’ll always look back on Delaware Shore & remember how much fun I had. Ike, I can’t thank you enough for all that you do for my girls. You don’t know what it means to me that Carey has this opportunity to get out of Sussex County and pursue her future through field hockey at Queens University. We’ve always called her our princess, so I guess it’s fitting that she is a Royal now. As always, thank you for helping them learn to contribute to their community.